Foran High's Michael Ross works on pinning Branford’s Zach Cash during the CIAC Class M State Finals Saturday. Ross was champion at 152 pounds, pinning Cash 59 seconds into the third period. 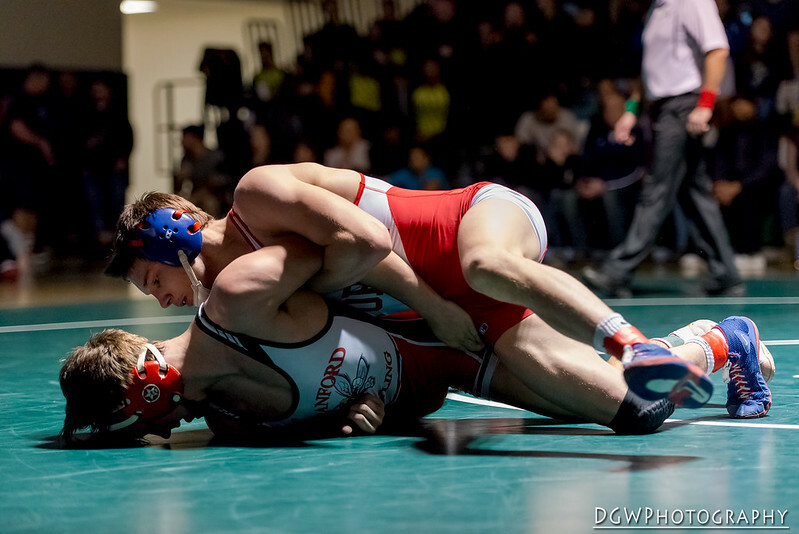 For more from this wrestling meet click here.